The beauty of a custom wine cellar can be improved with the proper lighting fixtures. There are various types of wine cellar lighting fixtures in San Diego, California. 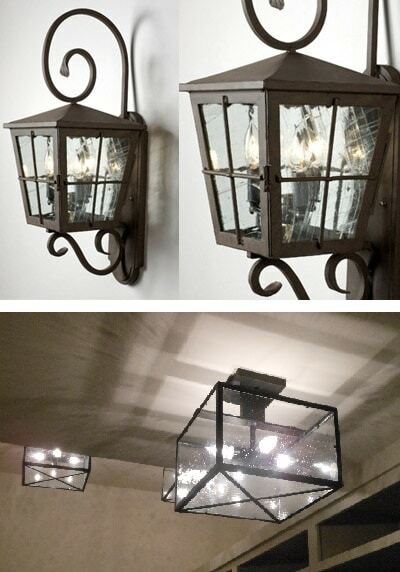 Iron Wine Cellars offers a wide array of wine cellar lighting options, that are durable and energy-efficient. They also custom design lighting fixtures to create personalized wine cellar lighting. Wines require an effective wine storage solution in order to be secure and to age properly. There are various wine storage solution types in San Diego, California, but the best place to keep wine is in a wine cellar. One of the primary requirements in order for a wine cellar to be built is adequate space. If you have an ample amount of space for a wine cellar, have one constructed in your home. Wine cellars are the best wine storage structures not only because they are effective in providing the ideal wine storage conditions, but also because they provide an opportunity to show off your wine collection proudly. Residential custom wine cellars in San Diego, California can be designed to fit your personal preference, so that you can display your show your wine collection off to your guests and friends as the bottles rest in beautiful wine racks. 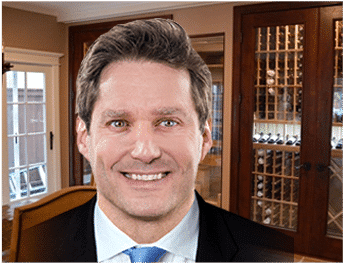 The type of wood used for construction, the kind of wine racks installed, and the choice of wine cellar lighting fixtures, are a few of the many factors that contribute to a custom wine cellar’s aesthetic value. This article will focus on wine cellar lighting. Choose the right wine cellar lighting fixtures so that you can further enhance the beauty and ambiance of your home custom wine cellar in San Diego, California. Custom wine cellar lighting has to be carefully selected, not only to increase the aesthetic appeal of your wine cellar, but also to protect your wines. Poor lighting can damage wines in many ways. The following are tips on how to choose the right wine cellar lighting fixtures for your wine storage room in California. Ideally, a custom wine cellar must be dark and airtight. This is one of the reasons you need to have wine cellar lighting fixtures installed; so that you can have ample, wine-safe light with which to move around the storage room. Additionally, without proper wine cellar lighting, it would be hard to read wine labels. The ideal custom wine cellar lighting fixtures are those that will provide ample light to illuminate wine labels, as well as adequate light to move around the room, without damaging your wines. of 45 to 55 degrees Fahrenheit, with minimal to no fluctuations. Wine cellar lighting should produce minimal heat, so as to prevent damage to your wines. Wine storage experts recommend using Light Emitting Diode (LED) lights for wine storage rooms, since they do not produce excessive heat. Never use fluorescent light for your wine cellar, because this type of lighting produces Ultraviolet light. Ultraviolet light can damage wines in more ways than one. First, it produces excessive heat, which can cause the premature aging of wines. It also causes reactions among the wine’s compounds, that can alter its flavor. Incandescent lights are a better option for wine cellars compared to Ultraviolet lights, but LED lights remain the best choice. LED lamps now come in a variety of light colors, from the warm whites of incandescents (2700K), up to cool whites of fluorescents (5000K). LEDs can be dimmable and PAR (directional), to fit your lighting design needs. The ideal wine cellar lighting will not consume too much energy per use. Many wine storage experts recommend using LED lights, because, although they are quite costly at purchase, you will save more in the long run. LED lights consume minimal energy. Wine cellar lighting fixtures in San Diego, California come in various sizes, shapes, and designs. The lighting fixtures you choose should compliment the overall design of your home wine cellar. If your home custom wine cellar has a classic or traditional design, chandeliers and wall sconces are good options to consider. For residential custom wine cellars that have a more modern or contemporary design, you may wish to have directional lighting and track lighting installed. Whatever the lighting fixtures you choose, they should create the ambiance that you want to achieve in your wine storage area. The perfect lighting design is a combination of proper location, lighting controls, and the types and designs of the lighting fixtures. Iron Wine Cellars is one of the most trusted wine storage solutions companies in San Diego, California. They offer various types of wine cellar lighting fixtures, that can fit any wine cellar design. Besides lighting fixtures, they also offer wine cellar design and construction services. They offer wine storage solutions for residences, wine stores, and wine dealers. It is their goal to consistently provide quality products and services, and meet all their clients’ needs. All of their products are built to meet a balance of aesthetic appeal and functionality. For more information about Iron Wine Cellars and their products and services, contact them today, at +1 (844) 608-4199!